Will more men buy perfume because Robert Pattinson is on the adverts? Or more correctly, will more straight men buy it? Probably not, but there are quite a few gay guys out there who’d like to smell like the R-Patz, and thousands of straight women who’ll demand that their boyfriends do. Pattinson is now the face of Dior Homme, with the fashion and perfume house tweeting the first official image of him for their campaign, along with the message ‘Dior is delighted to announce that actor Robert Pattinson is to be the new face of Dior Homme fragrance’. While he can look a bit of a mess, here he’s moody, well scrubbed and nicely beardy. Take a look above. Expect plenty more of the ex-vampire trying to convince you what you should smell like very soon. The pic above isn’t an example of hatred of The Twilight franchise that’s gotten completely out of hand, it’s actually the first image of Robert Pattinson and Guy Pearce in The Rover (via EW). And as you can see, R-Patz isn’t having a great time. The movie is Australian director David Michod’s follow-up to his critically-acclaimed Animal Kingdom. Guy Pearce stars as Eric, a drifter living outside normal society. 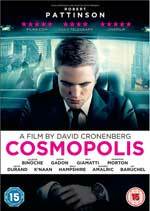 When his car is stolen by a gang of thugs, he enlists the help of Reynolds (Robert Pattinson), a gang member who was abandoned during the chaos. 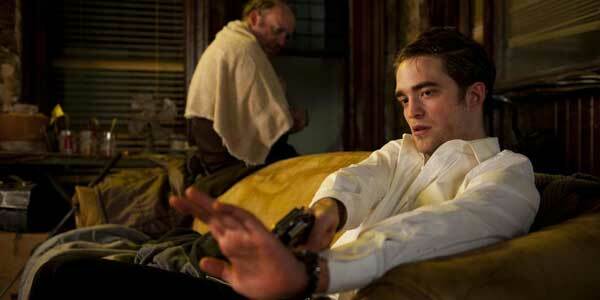 We’re not sure about Pattinson as a gangster thug, but perhaps he’ll surprise us. The movie should hit cinemas later this year. Although Twilight has the incredible ability to split people into camps of those who utterly adore everything about it and those who reserve a special hatred for it that infects every part of their soul, the series has brought us some very pretty guys. So with the final instalment (well, until they find some way of keeping the cash cow going), The Twilight Saga: Breaking Dawn Part 2, hitting cinemas on Friday (November 16th), I thought it was about time to present an appreciation of the men of Twilight. And we’re not just talking Robert Pattinson and Taylor Lautner, as we’ve always got some nice pics of the likes of Peter Facinelli (Carlisle Cullen), Kellan Lutz (Emmett Cullen), Jackson Rathbone (Jasper Hale), Lee Pace (Garrett), and the incredibly hunky Wolf Pack. We’re pretty certain he was joking, but Robert Pattinson – who seems pretty happy the Twilight movies are coming to an end – has said in an interview that he’d be happy to continue playing Edward Cullen, but only if the character comes out as gay. Pattinson and Taylor Lautner were talking to Ellen Degeneres on her chat show, and she asked them whether there was any chance of more movies after The Twilight Saga: Breaking Dawn Part 2 is released (it’s out Nov 16th). Pattinson commented, “I was also thinking another way to do it would be to make it look like ‘Will and Grace,’ where Edward turns gay.” However he still thinks Edward should stay with Bella and raise their kid. There have been numerous rumours about Summit Entertainment trying to continue the franchise beyond the films based on Stephenie Meyer’s bestselling quartet, although it’s difficult to imagine Pattinson signing on for more, as he’s often seemed rather ambivalent about the movies. The latest rumours have surrounded the idea that a new film would concentrate on the Wolf Pack, although there’s been no confirmation of this. As the movies are massive moneyspinners it’s difficult not to imagine them trying to continue it in some way – although we’d imagine it won’t involve Edward going gay. And just for Twilight fans, take a look at a nice promo shot of Pattinson as Edward, which was released ahead of the new movie. British actors Robert Pattinson and Carey Mulligan are planning to team up to star in the true crime drama Hold On to Me (previously known and Nancy & Danny), with director James Marsh (Man on Wire, Project Nim) on board to direct, according to Deadline. The project is based on the true story of a young couple who decide to kidnap their town’s richest man and hold him for ransom. When they decide to bury him alive, their plan begins to fall apart. Robert Pattinson will play Jimmy, the woman’s longtime lover who is not involved in the crime. Mulligan is up to play Nancy, the women who gets into the kidnapping. The role of the man who gets into crime is yet to be cast. Brad Ingelsby (Out of the Furnace) wrote the screenplay. No production schedule was given, although the filmmakers will be seeking buyers at the American Film Market next month. After a slightly tedious few days where Summit Entertainment has been releasing the final Twilight Saga: Breaking Dawn – Part 2 poster bit-by-bit, the whole thing has now been unveiled, which you can see above. The movie concludes the saga, with Bella, Edward and Jacob having to protect the newly born (but fast-growing) Renesmee from the Volturi. They gather together as many sympethetic vamps and werewolves to their cause, against the mounting threat. The movie hits cinema on November 16th, 2012.